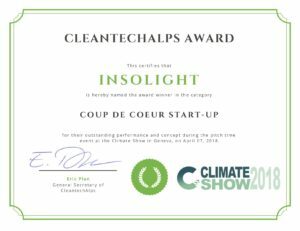 From April 6 to April 8 Insolight participated to the Climate Show 2018 in Geneva that presents new technologies and outcomes that are related to the reduction of carbon emissions and the mitigation of the climate change effects. For more info about the fair, please check Climate Show website. 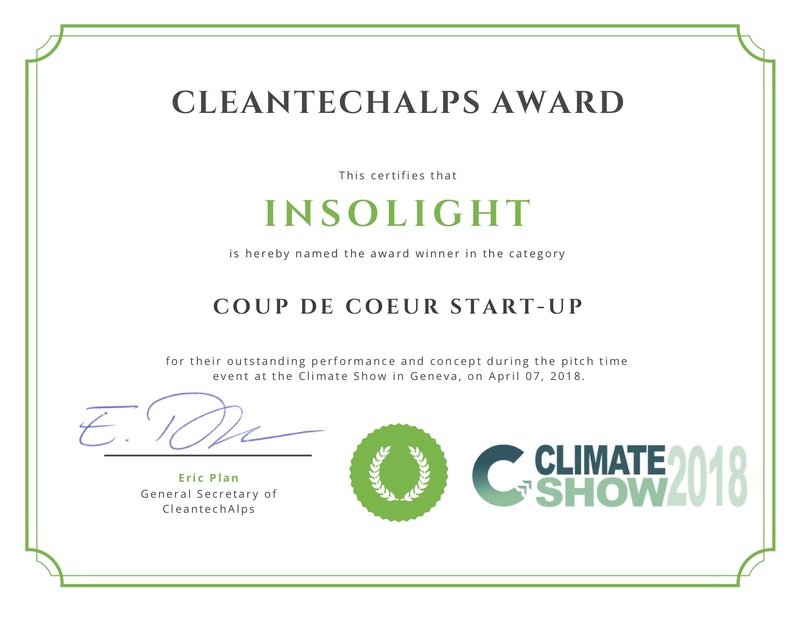 During this fair, our COO, Florian Gerlich, did an outstanding pitch, presenting Insolight business and involvement into a sustainable world and Insolight won the “coup de coeur start-up” award ! Many thanks to the Climate Show 2018 and CleanTechAlps for this opportunity !